Fire Extinguisher Safety Training: Fire Extinguisher Classes Vancouver - Home Fire Safety Surrey | ComFire Ltd. Does your staff really know how to operate a fire extinguisher in the event of an emergency? Do you have the right extinguisher for the hazard? Does the extinguisher have the volume of product necessary to put out the fire? Not all fires are the same. The first time you try to operate a fire extinguisher should never be at the time of an emergency! Fire Safety Courses in Greater Vancouver: get qualified hands-on BullEx extinguisher training, learn about life safety systems, evacuation & home fire safety. You can learn more about our Fire Extinguisher Classes here. Should you wish to include it, participants will all have the opportunity of physically operating a portable fire extinguisher during the presentation. Participants will learn the limitations of fire extinguishers. The instructors will also talk about home fire and safety and key information that a participants will be able to apply at home. Instructors can cater a seminar to include specific site awareness of fire and life safety. Built for you. 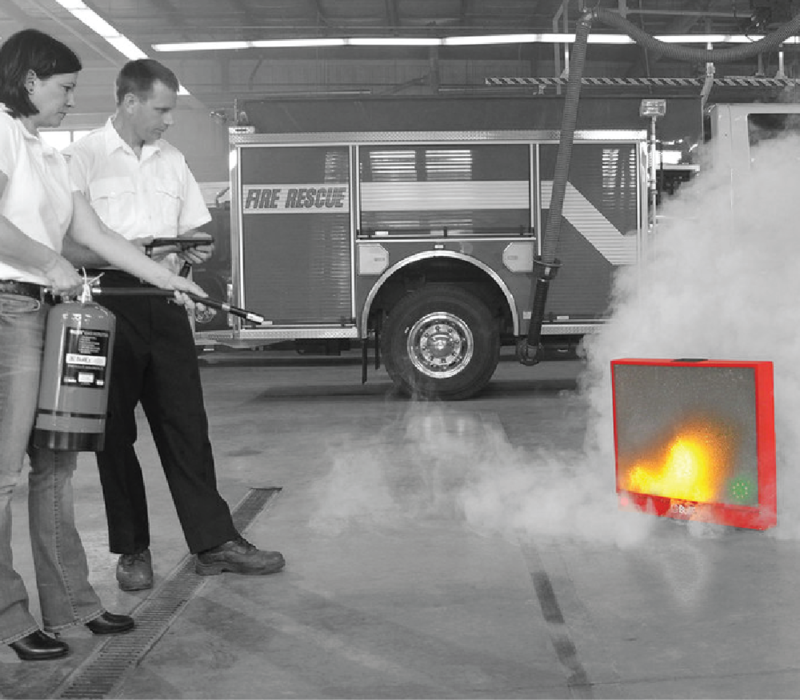 Community Fire Prevention can custom tailor a Fire Safety presentation for your company. With trained professionals instructing the courses Community Fire, ensures a thorough and safe program. Know the Code. Community Fire Instructors are either certified ASTTBC Fire Protection Registered Technicians or former career Fire Fighters with first hand real world experience. Our trained staff stay current with ongoing in-house training of codes, standards and manufacturers requirements. Debunk the myths. Our interactive training sessions allow participants to openly engage and discuss with the instructors and we will help put to rest many of the most fire safety misconceptions. Promote Safety. Promoting such presentations and participation, we demonstrate commitment to a higher standard of protection for your employees or residents by maintaining all your fire and life safety equipment professionally and on-time. If you require Vancouver fire inspectors for Professional Fire Safety Training or Fire Extinguisher Training, please don’t hesitate to speak with one of our highly trained technicians today! For all of your fire safety services, call or visit our fire protection office in Port Coquitlam, BC. Call today at 604-944-9242, to learn more about how our fire protection services can help you! We provide fire training classes in Surrey, Richmond, Vancouver, Coquitlam, Langley, and across the greater Vancouver Area.